Subscribe to our FREE newsletters for Disney discounts, news, and more! An additional adult charge of $35 per night applies when there are over two adults in a room at the Deluxe Resorts. 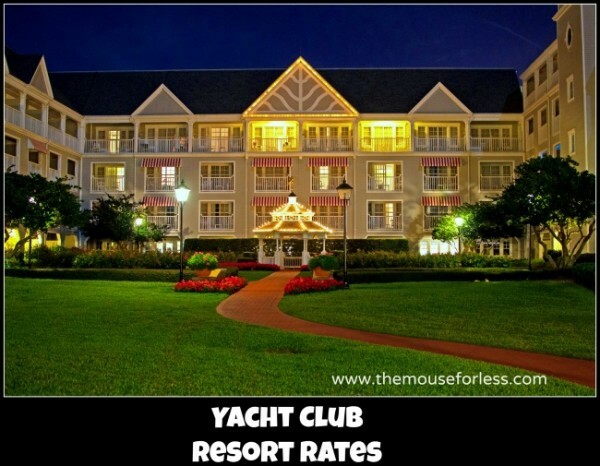 Yacht Club Resort Rates, benefits, and other terms are subject to change without notice. Weekend rates (Friday – Saturday) apply during Regular, Summer, Fall, Peak and Holiday seasons. Looking for a discounted rate for your Disney Vacation? Let The Magic for Less Travel, an Authorized Disney Vacation Planner, work for you. Their concierge services are always provided free of charge, and The Magic for Less Travel will help you find the best published or unpublished discount for your vacation. Already have a vacation booked directly with Disney? Contact The Magic for Less Travel to see if they can help you find a lower rate. 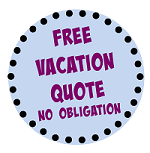 The Magic For Less Travel specializes in personalized vacation planning. Get a guest-driven, concierge level planning service free of charge. Choose your vacation destination. Provide more information if other destinations is selected. Adventures by Disney, Aulani, Universal, other cruise lines, etc. Looking for great Disney vacation tips, hacks, and advice? Join in on the fun at The Mouse For Less Facebook Group. If you want to travel like a VIP on your next Disney or Universal Vacation? 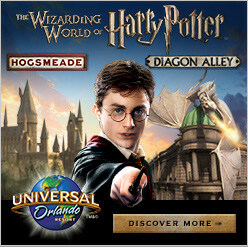 Contact the agents at The Magic for Less Travel. Their concierge services are provided free of charge and their expert planning advice will help you make the most of your vacation time and money. Ask about their exclusive Disney Gift Card and Shipboard credit offers. Keep in Touch and Never Miss Out on a Disney Destination Discount Again!